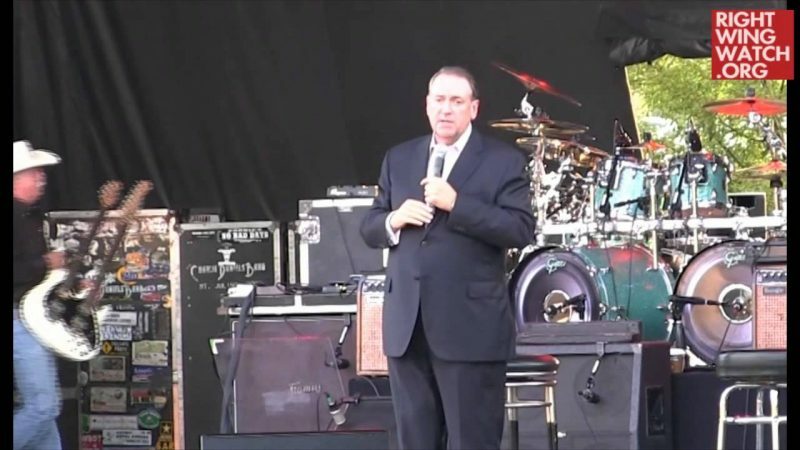 Christian Broadcasting Network commentator David Brody interviewed Mike Huckabee in Iowa over the weekend and posted an excerpt from the interview today, in which Huckabee reiterates his pledge to undermine gay rights if elected president. 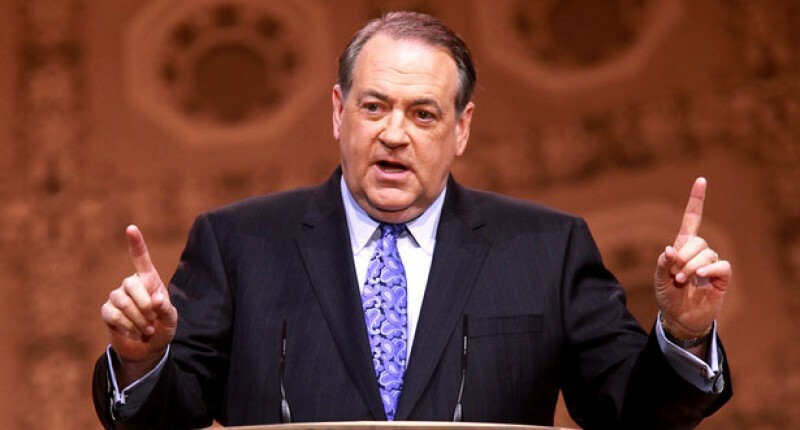 Huckabee said that the U.S. government should simply refuse to recognize the Supreme Court’s ruling on marriage equality, insisting that gay marriage can only be legal nationwide if Congress passes a law making it so. Brody: I want to ask you another question about gay marriage and religious liberty. They go hand in hand. 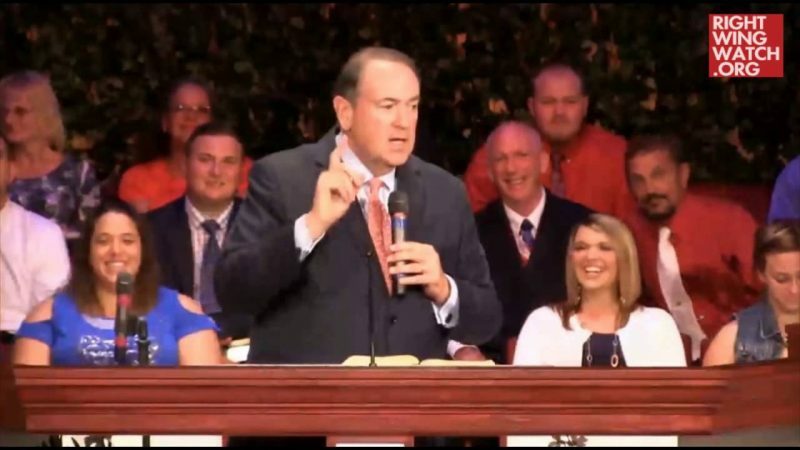 Now President Mike Huckabee, what would that 100 days look like under a President Mike Huckabee administration as it relates to gay marriage because a lot of people say ‘Hey, the train’s leaving the station. Oh well. 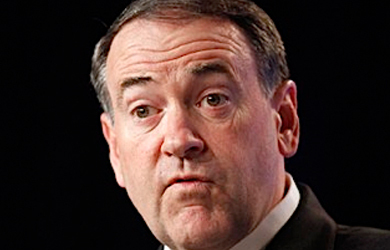 Good luck to you in the future.’ What’s a President Huckabee do? Huckabee: When people say the train left the station, it’s the law of the land, there’s nothing we can do, let’s move on. I want to say, ‘Have you guys read the Constitution, did you pass 9th grade civics?’ The court can’t make law. We pretend that it can and I’m convinced that a lot of people give that sort of response because they don’t want to have to deal with the complexities of the constitution, which says that there are checks and balances. If we surrender to the judicial branch as if it is the last, final and ultimate word, then we have surrendered to judicial tyranny which is what Jefferson warned us about and the reason that he rejected some Supreme Court arguments as simply being something he couldn’t accept and he didn’t…as did Jackson, as did Lincoln. This notion that the Supreme Court ruled it and therefore it’s the law of the land bypasses the only entity in our government that can make the law of the land: the legislative branch, and it’s not even law until the president signs it and agrees to enforce it. And first of all, a president, if he’s not going to uphold that part of the constitution, get out of the race because you’re going to be lying when you take the oath and say you’ll uphold and defend the constitution because on its face, you’re not defending it, neither are you upholding it when you surrender to the god of judicial supremacy so we’ve got to start there and I certainly would start there. Brody: Can you do something as it relates to some executive orders, are there certain things you can do? Huckabee: Absolutely. You can reverse the executive orders as it relates to how the president has said you’re going to make this a mandatory issue throughout federal government but you also instruct the attorney general to defend religious liberty and the rights of people of faith and conscience whether they’re business owners acting as individuals, whether they’re hospitals, churches, schools, adoption agencies. It doesn’t matter what it is. That no one’s religious liberty will be trampled upon because they refuse to bow to something that violates nature and nature’s God. Words, that by the way, I borrowed right out of the Declaration of Independence. But I’d also order the Secretary of Defense on Day One that you will empower chaplains to perform their religious duties according to their conscience and you will further make sure that no military member is prohibited from the free exercise of their religious faith so long as it does not impose itself as a hazard to their duty or an imposition to their fellow military members, which means if the chaplain wants to put a Bible on his desk, do it. If the chaplain wants to pray in Jesus’ name or the name of Allah, he does it. If the chaplain wants to counsel according to his conscience and to what he believes about sexual behavior, then he’s free to do it. Otherwise you have told him what the limitations of his belief can be and unless those limitations somehow impede that soldier’s ability to be a soldier, or a sailor, or a marine, or an airman, or a coast guardsman, then it is not the purview of the government of the United States to prohibit the free exercise thereof of his or her religion.